Choosing gift cards can be difficult in today’s gift card market – the gift card market is predicted to swell to a massive $180 billion by 2018, so more retailers than ever are releasing gift cards to take advantage of consumers who can’t get enough of gift cards. But many of us don’t even know the basics about gift cards – beyond the fact that you can buy them, give them away, and use them. However, gaining a better understanding of gift cards and how they’re used is crucial. First, we’ll go over the basics about the difference between retail gift cards and bank gift cards. Next, we’ll discuss the impact of new consumer regulations that cover gift cards – passed in 2010, these guidelines set out some very specific rules that retail companies must abide by, and which help consumers buy gift cards safely and easily. We’ll continue with a discussion of one of the most popular gift card scams out there – and give you tips, tricks, and advice on how to avoid being scammed when you buy a gift card from a retailer. What’s The Difference Between A Retail Gift Card And A Bank Gift Card? This can be a confusing subject for many. In recent days, “bank gift cards” have become very popular among consumers, and have often been confused with retail gift cards. However, there are some major differences between the two. Retail Gift Cards – Retail gift cards are issued by a specific merchant, usually in partnership with a payment processor or a bank. These cards can be preloaded with a certain amount of money, and are “activated” at a register once they’re sold and cash is exchanged for them. After they’re activated, they can be spent in only that store, in the same way that you would use cash or a credit card. Bank Gift Cards – Bank gift cards are a different beast entirely. You’ve probably seen them before – Visa and Mastercard eGift cards that are available both online and in-stores. These gift cards function very differently than retail gift cards, as they’re operated by the issuers of the card themselves – companies such as MasterCard, Visa, and other card-issuers are the ones who implement and manage these cards. Essentially, these cards can be thought of as a method by which cash can be transformed into a credit-card like form. They offer preloaded balances that can be purchased with any method of payment, and can be used at any retailer which accepts credit cards provided by the card issuer. In addition, these cards are usually reloadable, and can have more money placed on them after they’re used. However, this comes with a drawback. Legislation has limited the fees that can be placed on retailer gift cards – but bank gift cards are still free to charge hefty activation fees, usage fees, and other monthly maintenance fees. It’s important that you understand the difference between these two types of payment. If you’re looking for a flexible gift for someone and you’re sure that the balance of your card will be used up quickly, a bank gift card may be right for you. However, if you’re planning on giving a gift card to someone that has a large balance, or may not be used right away, a retail gift card is a better choice, as the recipient won’t have to deal with any unexpected fees. One final note about the difference between bank gift cards and retail gift cards is that bank gift cards can’t be sold online. Transferring the credit associated with a retail gift card is simple and easy, and because there are usually very few fees associated with retail gift cards, they are popular to buy and sell online. Bank gift cards, on the other hand, are very difficult to buy, sell, and trade online – though since they function similarly to cash, there’s little need to sell them. Still, it’s an important consideration when making a buying decision. Before 2010, the world of retail gift card regulation was a wild one, indeed. You could be hit with massive penalties on your gift card balance for not using your card in time, have short expiration dates after which your balance would become useless, and be forced to jump through many other hoops that made gift cards more profitable for retailers – and less useful for consumers. Thankfully, the government stepped in, with comprehensive legislation (the CARD Act) designed to protect consumers from predatory card issuers, and make the world of buying and selling gift cards safer, simpler, and easier to understand. These rules went into effect on August 22, 2010, and there are three primary highlights to them that help protect consumers. Let’s go over them now. Money on your gift card cannot expire within 5 years of the last date of purchase. This is a huge change. Before 2010, companies could often set expiration dates on their gift cards that were very restrictive – sometimes even as low as one or two years – after which your balance would be voided, and you would be unable to use your card. This new regulation means that your gift card must remain valid for up to 5 years within the date of the last purchase made on the card – this includes both purchasing a new card, and reloading an old one, if applicable. This allows you more flexibility in the usage and redemption of your cards – you don’t have to worry about valuable cards expiring just because you didn’t use them in time. Inactivity fees are much more tightly controlled. Before the introduction of the CARD act, inactivity fees could easily eat away at the balance of your gift card, charged monthly whenever you didn’t use your balance. The new regulations stipulate that inactivity fees cannot be collected unless the balance on a gift card has been completely inactive for more than a year. And after a year, gift card inactivity fees are limited to only one charge per month – which is completely reset after any balance is used on the card. However, fees to replace cards or buy new cards remain unchanged – only inactivity fees are managed with this law. Expiration dates must be clearly listed on all retail gift cards, and fees must be disclosed on gift card packaging. Even cards which have a five-year expiration date must have that date listed clearly on the card itself, and if the card has any inactivity fees associated with it, they must be displayed clearly on the product packaging. Together, these laws have helped create a system of gift cards that works for both retailers and consumers. As gift cards grow in popularity, sophisticated criminals have invented schemes by which they can monitor gift cards, steal information, and drain funds from your purchased gift cards – often before you even know it. These scams are usually perpetrated by sophisticated criminals who are able to duplicate the information on a gift card, monitor its balance, and then begin using it before the legitimate buyer is able to use it themselves. Buy from reputable sources. Only purchase gift cards from trusted retailers and online stores – this will reduce your risk of buying a phony gift card. Inspect gift cards before you buy them. Is the gift card damaged in any way? Is the magnetic strip scratched? Is the PIN sticker askew or missing? If so, it’s likely that the gift card is compromised. You should never buy a gift card that’s not in perfect condition. Keep your receipt. While not all stores offer this service, some stores are willing to replace gift cards that have been lost or stolen, as long as they are presented with some form of identification of the original buyer, and the receipt for the gift card. Understand fees, fine print, and expiration dates before you buy gift cards. Take a good look at the gift card you’re buying. Is there an activation fee? Will you have to pay monthly fees after one year of inactivity? What are the terms and conditions of use? Getting an understanding of the particulars of a gift card allows you to make an informed buying decision. 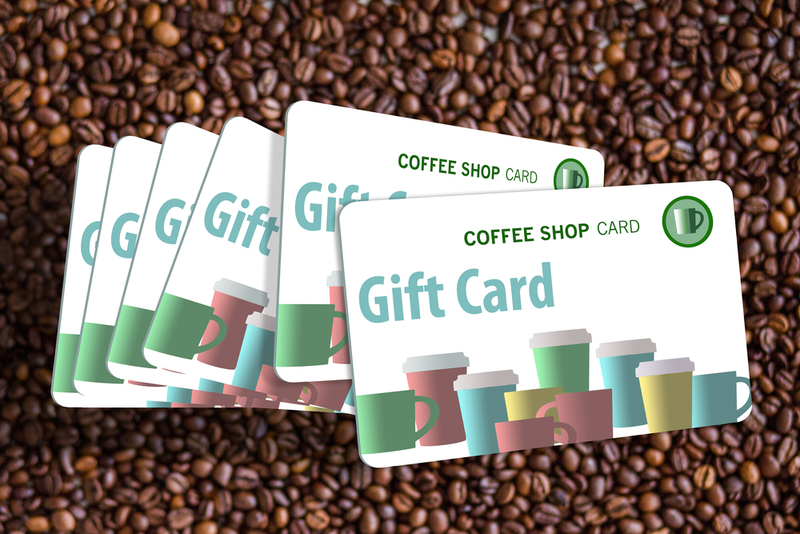 Buy gift cards to large, reputable businesses. If you’re thinking of buying a gift card to a local business or a smaller retailer, you may want to think again. A local business that goes into bankruptcy or otherwise fails may be unable to honor its gift cards – and if a retailer around you closes up shop, you may not be able to spend your gift card balance easily. Generally, buying gift cards for large stores that offer online buying is a good idea if you’re concerned about the risks of businesses near you closing. But buying gift cards is only half the equation. Here are some great tips on using gift cards – whether you’re using them yourself, or giving them to somebody else. Understand expiration dates and fees – and use your card accordingly. If your card has an expiration date or inactivity fees, you should understand them, and use up the balance of your gift card before you are hit with any penalties. This will maximize your ability to use up your card balance. Use your card as soon as you can. Using gift cards early allows you to enjoy their full balance, and not worry about misplacing them or otherwise failing to use them. In addition, using your card quickly can help you avoid being scammed – predatory scammers often rely on gift card recipients being slow to spend, as this allows them to spend gift card balances themselves. If your card has expired, contact the issuer. Some companies are willing to work with you to restore your gift card balance, or reverse inactivity fees. So if you have an expired gift card, don’t just throw it away – get in touch with the issuer, and see how you can regain your old balance. Treat your gift cards like cash. Your gift cards are valuable – if your gift card is lost or stolen, you should contact the issuer immediately. They may be able to stop it from being used, and restore your balance or give you a new card if you can provide identification and a receipt. Not all companies will do this, but many will. Following these tips on picking out great gift cards and using them will protect you from scammers, fees, and other unexpected issues like store closures and bankruptcies. So shop smart, pick the right cards – and the recipients of your gift cards will thank you. Got Gift Cards You Don’t Need? Sell Them To EJ Gift Cards! The great thing about retail gift cards is that you can sell them if you don’t want them – you don’t have to just leave them sitting in a desk, drawer, or wallet unused. The internet has made it easier to buy, sell, and trade gift cards than ever before – and EJ Gift Cards is one of the top direct gift card buyers out there. We offer payment for retail credit cards through PayPal as soon as your credentials are verified. We accept hundreds of different cards, and our sales process is as easy as following our simple instructions. So visit our website today. Get a quote, add your card, and register an account to get paid through PayPal. It’s that easy – and our customer support team is always ready to help you with any questions, feedback, or concerns about the selling process. Don’t let your gift cards waste away – after all, they expire after five years! Turn them into cash, and you’ll be able to spend that money wherever you want, however you want, and whenever you want.